Roger Chandler is the Vice President and GM of Intel's Developer Programs and Initiatives organization. His team is responsible for leading Intel's worldwide app ecosystem strategy, developer outreach & evangelism programs, client platform software partner relations, and new technology innovation programs, with a particular focus on gaming, VR, and consumer software applications. 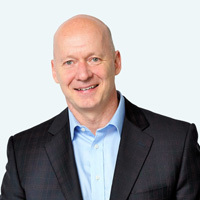 During Roger's 19 years with Intel, he has led software, innovation, and product efforts in Intel's manufacturing group, Intel's technology labs, and Intel's consumer CPU product teams. He is active in multiple industry organizations and is one of Intel's leading experts on user-focused innovation and has directly coached more than 5000 senior leaders on the process of "design thinking".